The IRSS Legacy project responds to the Truth and Reconciliation Commission of Canada (TRC) Call to Action 82: We call upon provincial and territorial governments, in collaboration with Survivors and their organizations, and other parties to the Settlement Agreement, to commission and install a publicly accessible, highly visible, Residential Schools Monument in each capital city to honour Survivors and all the children who were lost to their families and communities. 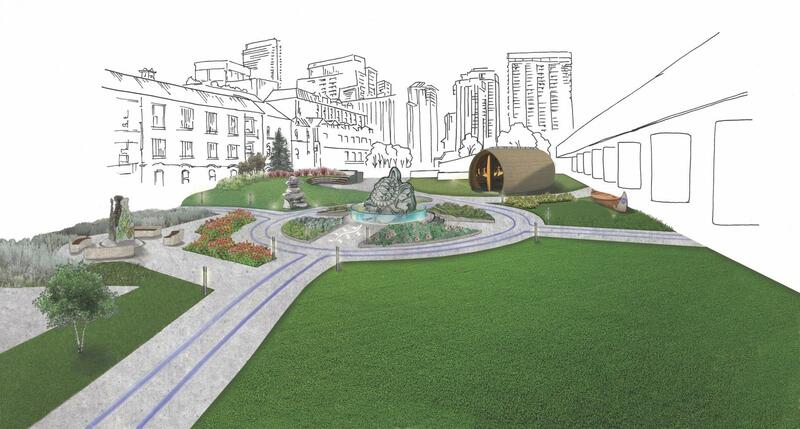 While the TRC requests the establishment of a monument, Toronto Council Fire Native Cultural Centre has interpreted this call in a culturally appropriate way with the commission and installation of a Turtle sculpture, as it includes all people and reflects Indigenous teachings. The Indian Residential School Survivors (IRSS) Legacy project commits to work towards truth and reconciliation. The sculpture features the snapping turtle climbing over a boulder. Etched in the boulder will list all the residential schools operated in Ontario. 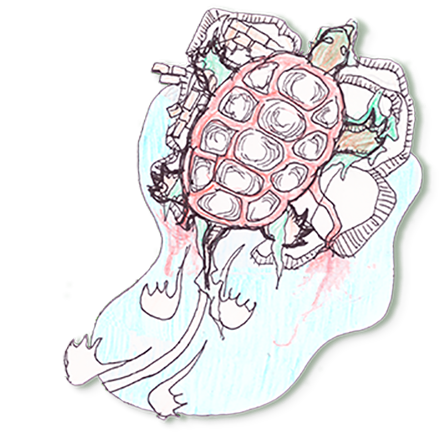 The turtle symbolizes Mother Earth and acknowledges residential school survivors, nations and clans, rooting them back to their rightful place within creation. This design is based on the traditional Indigenous creation story of Turtle Island. The turtle shell tiles represent the 13 moons in the Indigenous lunar calendar and the 28 surrounding tiles represent the number of days between the new moons. To acknowledge the First Peoples of this region, 13 tiles honours and recognizes the 11 Nations, the Métis Peoples and the Inuit. 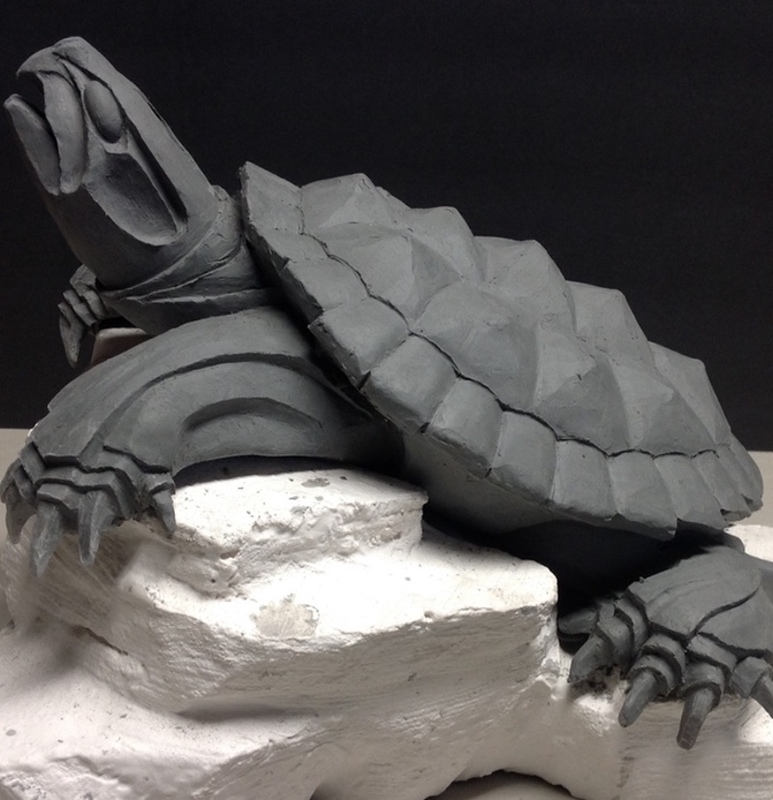 The turtle sculpture will be 6 feet tall, 6 feet wide and 9 feet long. An inclusive, accessible space with year-round programming held by Elders, traditional teachers, educational institutions and like-minded organizations and working with people of the four directions. To rejoice this milestone, IRSS Legacy Celebration offers the diverse Indigenous community to restore their identity and legacy on October 9-11, 2018 at Nathan Phillips Square in Toronto. This cultural gathering will host a variety of traditional performances, cultural teachings, ceremonies and workshops. To mark and celebrate this significant milestone, the IRSS Legacy Celebration will be held on October 9 to 11, 2018 at Nathan Phillips Square. The cultural gathering offers the diverse Indigenous community with an opportunity to honour residential school survivors and celebrate Indigenous cultural resiliency and diversity. The family-friendly program includes cultural activations, traditional workshops, an indigenous marketplace and food vendors. Thank you to the generous contributions to our sponsors. Together we are repairing what was damaged, reclaiming what has been displaced and working towards restitution for future generations. The IRSS Legacy Project would not be possible without the tremendous community support.